In September 2004, the Department of Corrections began a new project in conjunction with the Sioux Falls Area Humane Society to help teach basic obedience commands to shelter dogs. Minimum-security inmates learn to train the dogs through a steady routine of consistent commands. The dogs receive much needed attention and socialization skills, which in turn will make them better pets. The training will increase the adoptability of the dogs while teaching inmates to train, groom, care for and socialize shelter dogs. 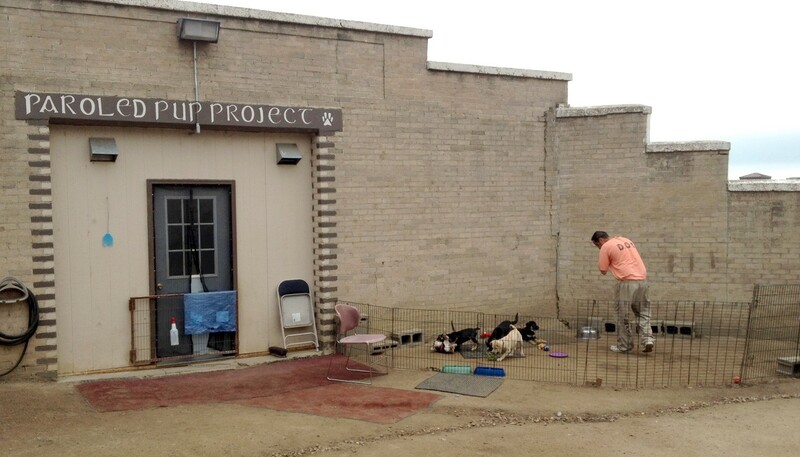 When the dogs finish their training at the prison, the paroled pups will be placed back into the community through adoption at the Sioux Falls Area Humane Society. 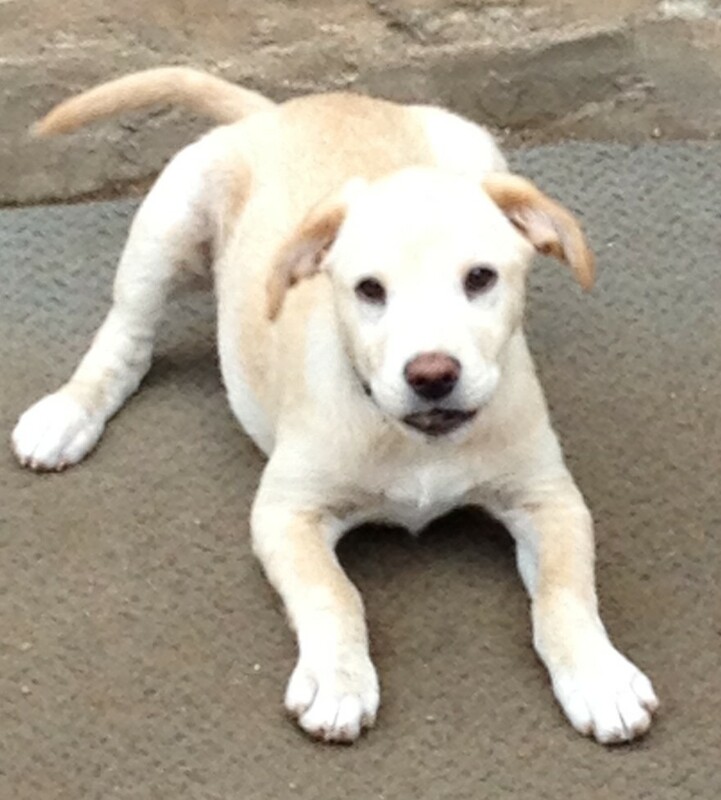 For information on current Paroled Pups, visit the Sioux Falls Area Humane Society website. A view of the Paroled Pup Project. One of the Paroled Pups. Inmates are paired with dogs to teach basic obedience commands.